Total users / 总用户: 93,300. Great info man!!! @xiaohui THanks for sharing. Thank you for your work. Steem Top 10 still transfers To Poloniex and Bittrex per day. Great work. I think the 24 hr figures vs 7 day figures make a lot of sense since most people will be too busy to be active every day. @laonie thanks for re-posting this. The power is in the community! Thanks for sharing the stats! The number of active users almost exactly matches my estimation. See my post https://steemit.com/stats/@cryptomental/reblogged-vs-upvoted-analysis-of-the-latest-reblog-feature and the comment below it. I enjoy these posts. Thanks for taking the time to post these numbers. The number of active users (7 days) is falling. I hope it's because the abuse of the system is harder and Steemit is going through natural purging. Maybe there will be busy days and I won't be active every day, but I'm sure I will be in the 7 days active users almost all the time while Steemit exists. There are still more users withdrawing then making a deposit. I saw a few cases where user withdrew but at the same time made a bigger deposit. Would you have explamation for that? Thank you again for doing the stats. Around 3% of accounts were active. The question we cannot answer is how many of these are bots. Nice to see an uptrend lately! Withdrawal vs Deposit higher equals Steem Price lower. Thank you for your continued work on updating us. Yeah, so great with the 99,000 users and thanks for your stats-articles! Learn more about [**linkback bot v0.4**](https://steemit.com/steem/@ontofractal/steem-linkback-bot-v0-4-released). Upvote if you want the bot to continue posting linkbacks for your posts. Flag if otherwise. Bingo! I read your post yesterday and decided to buy a $1 or so's worth of STEEM, and here I am on your list, at No.47, not bad for an old poet. Mind you, there are only two below me, so I'll try not to get too carried away. Thanks for these posts. I try to always upvote, but sometimes I don't catch it. Looks like the trend for activity is up if you take out the weekend. My next post I will be calling for a debate on processing power here on the steemit feed. I won the debate on reddit already but want it attached to a blockchain - any and steemit will do for now. After that my post will be for steemit to attach itself to the only true blockchain via a hashing of every 400 man hours of content sent to a satoshi so we have it etched in stone for 3000 years not just until steemit the genius semi decentralized entity survives. Why is enki withdrawing and depositing at the same time? It's good to see that 7 days average active users count is rising. :) Go, go, go! Yeah, buddy! Made the list once again! Thanks for the props! I have been searching for the user statistics, very useful! Followed. Thanks for useful report! I've started research of STEEM transfers as well, but I decided to use average intensity: STEEM per minute as a metric. You could compare intensity for certain from intervals with different time lapse. I also find out that a lot of STEEM flows to exchanges and SBD flow from exchanges is slightly more in opposite direction. Do you have ideas of the phenomena? Who is lucky #100K user? Any gifts? The 24h-active users number trend is concern. Talking user numbers, I have seen great web communities go down, drowning in their sheer numbers. But 100.000 is not necessarily that much. 7-day-active is a great indication, but its not the full story. If I were to check the percentage of active users, I would go for the continuity of user activity rather than the last activity as this figure is biased by new users rushing in. Many people sign in but relatively few stay. Prove me wrong, but in social media, people either dig their fangs into a system straight away, or they leave it with their accounts idling. Coming back later to something you dropped already? Might happen, but it would seem a rare thing. --> last activity minus registration date. As the newbies are likely to still make up their minds (and hej, I qualify :-)) a threshold of two weeks might seem a good idea. But this is just a newcomer's idea. Shared on twitter. Happy to upvote. Good to see more activity. Thanks for your information and hard work! Wow, this is great, thanks for sharing! I see undre 16 @elewarne you have listed my transfer, unfortunately I can not attribute it to my account because the transfer Id numbers are missing, do you have them by any chance??? 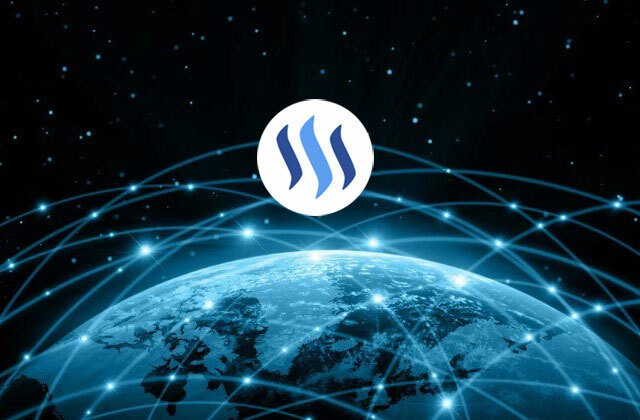 Thanks for your continued contributions to the Steemit effort! I do wonder if it would help show overall usage health by looking at average active account age or active account total posts. My belief is that while some numbers may go down, the solid users are becoming more solid. This is becoming their home. That should somehow be represented in the numbers. Solid users may be much slower in growth of numbes..not enough to overcome the drop off of temporary users. Could you also calculate the new steems created during the last week?Many thanks! many of them are bots voting.. This is confusing and sad. If this is not taken care of, I think I am leaving steem. Yeah its autovoting mostly, i wonder if anyone else will notice. Ffs check your bot its broken @xiahui this is the second blank report. If you dont fix these i will have to downvote, you shouldnt get rewarded for broken automated reports. I'll let him know. Don't leave. More coming in than leaving?! Hope this continues! Even though new registrations are low now, I am sure its because of the change in sign up. Now its safer to say that the signups are mostly real users and people though since its harder to create multiple accounts as easy as it was before. as @oaldamster once wrote on his post - less competition bigger chance of reward . Thanks so much for posting! I've been curious to see exactly how many people have been on Steemit, I'm amazed by how much less is being posted! I feel like those of us who really love Steeemit need to get our butts on more and take advantage of this slow period! It could pay off later. Why poloniex have 1855 SP? Obviously these people know how to post and make money. This is an account of the Exchange. These people have very good technical skills. This is not about posting. I know, and i ask Why Exchange have 1855 Steem Power. Learn more about and upvote to support [**linkback bot v0.5**](https://steemit.com/steemit/@ontofractal/steem-linkback-bot-v0-5-the-reddit-awareness-release). Flag this comment if you don't want the bot to continue posting linkbacks for your posts. More coming in than going out! Maybe you can plot a graph so we can see it better. 3,000 active users out of 110,000 it is a pity ! I always love looking at this! Great work. I wonder how many of those thousands are bots? Love the bilingual post by the way! English can only reach so many! Great tools you provide here! So much effort! Hope you will be someday rewarded for this because the payouts are not awesome now! Maybe we can start contribute to give STEEM a BOOST! Keep the good work! If you want to support our new curation method based on powering up you are one of the perfect users we need! Thank you! Very nice! Thanks for providing these stats. Great information but don't get it. Having checked steemit2 , alpha, kush they have no posts but earned a lot and withdrawn. Is it me but how can they earn with no posts and no followers. This doesn't show the transfers from wallets or Coinbase directly to Steem.it. Example. I send BTC from Coinbase to Steem.it. Correct me if I'm wrong in thinking that this would change the numbers greatly. Only just discovered these reports, great stuff, very useful. It's may be useful to keep in mind that last week was Thanksgiving weekend in the US, so I would guess posts went down during that time because of people traveling. This is wonderful. More money came in to the system.... People are Powering Up. This is great! As always another great set of stats. Thanks for sharing. Upvoted as always. I made a post recently. You may like to see it. The scalability of Steem and Steemit is simply mind blowing..!! Hi, i miss the stats from today :) Do you will provide it? Is there more to this? My estimated value is higher than $1000 but I'm not on the list. Is this only for account names with 4 charaters or less?